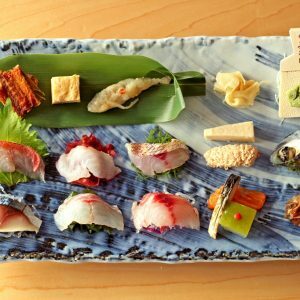 Tokyo has no shortage of high-end restaurants but sometimes a simple meal of sophisticated but unpretentious dishes served in stylish yet comfortable surroundings is preferable to an elaborate multi-course kaiseki meal, meticulously prepared and painstakingly presented. So, it was a great joy to discover Mamianazaka Honoka, a Japanese restaurant tucked away in a residential neighborhood in Higashi-Azabu. In a reminder of what the area used to be like, the unwieldy name literally translates as badger hole. Honoka is hidden from street view, down some rather steep stairs, which lead to the basement of a nondescript residential building. But once inside, the atmosphere is warm and welcoming. 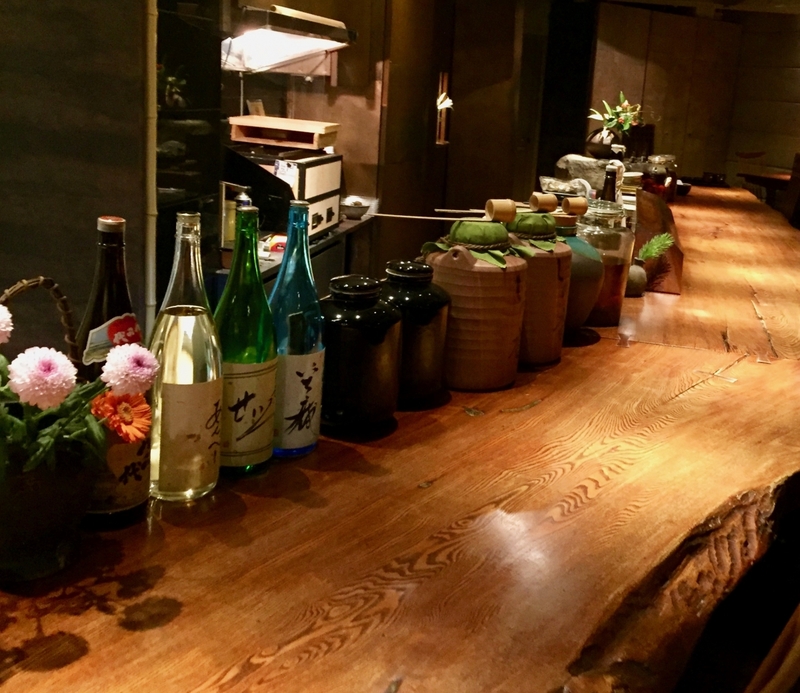 There is a massive wooden counter, which dominates the main dining room, and heavy wooden tables and chairs reminiscent of the work of George Nakashima, a leader of the American Craft Movement. Soft lighting permeates the room, giving the wooden furniture a faint glow. A massive counter stretches across the main dining room. On the two occasions we have visited, the place was nearly empty and very quiet, with the ambience of a comfortable bar rather than a popular restaurant. 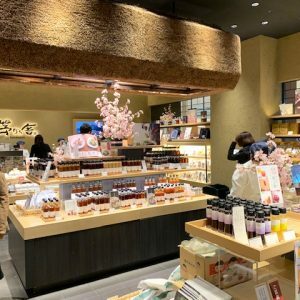 Given the many times we have had to nearly shout to be heard over rowdy guests at restaurants in Tokyo, this makes a visit to Honoka all the more pleasurable. After arriving on a recent cold evening, we were escorted to a Japanese-style room in the back, which featured a horigotatsu – a long table placed atop a sunken floor. 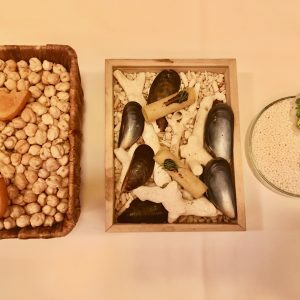 We chose the Y6,800 course, which began with an appetizer of yuba (tofu curd) fava beans, and small wheat gluten cakes, topped with a morsel of sea urchin, which gave this delicate dish just the right amount of saltiness and a flavor of the sea. Then came a massive raw oyster. 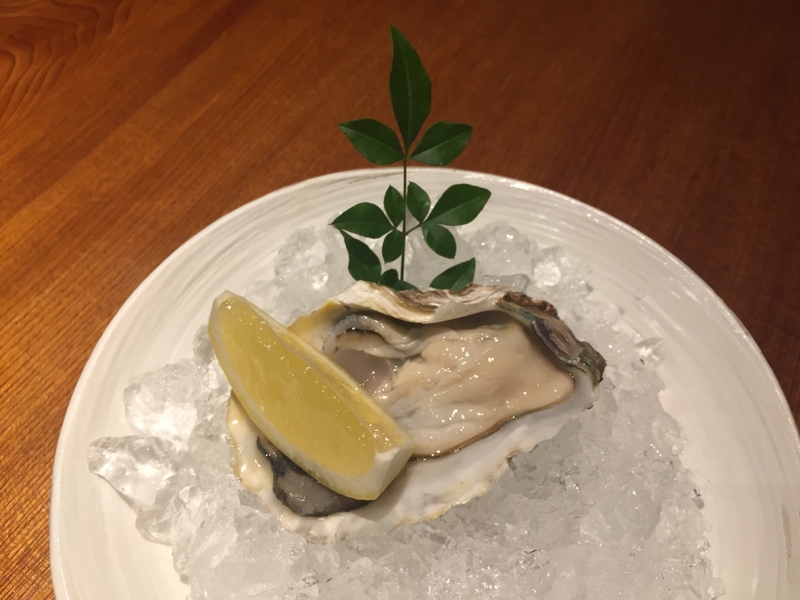 Seasoned simply with a wedge of lemon, the oyster was milky and smooth with just a hint of sea salt. The oyster was perfect with a wedge of lemon and a pinch of salt. After the rich taste of the oyster, a soup of clear broth, or osumashi, provided a nice balance to the meal. It is said that the quality of a Japanese chef’s cooking is revealed by the dashi broth he or she makes. The osumashi we enjoyed at Honoka that evening was of a very high quality – worthy of a fancier establishment. 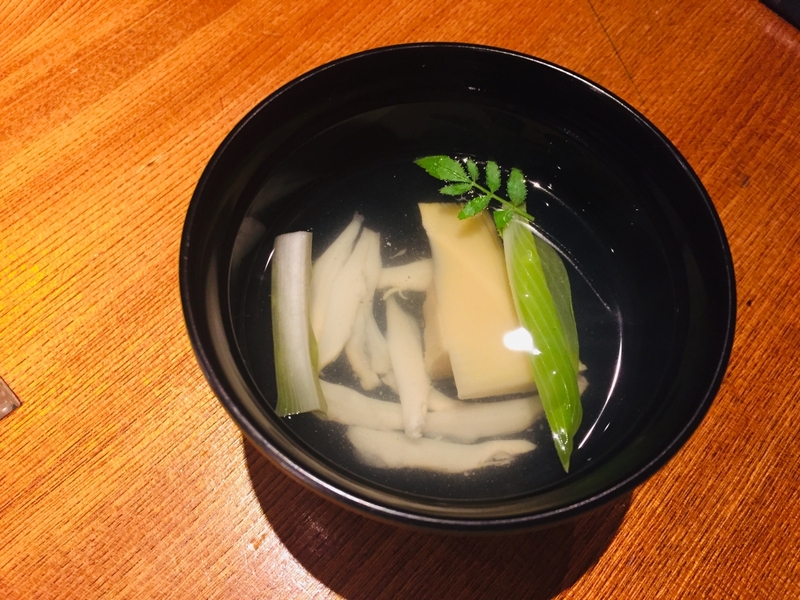 The clear broth with vegetables. 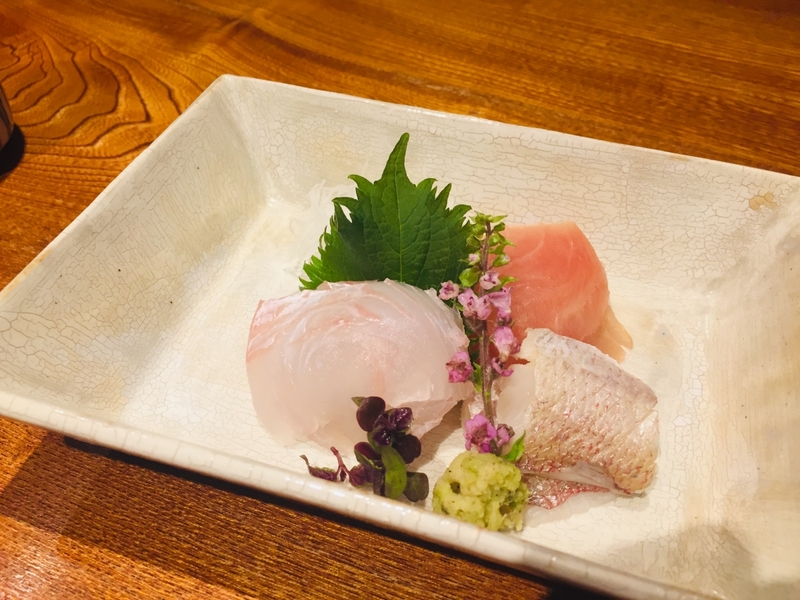 An otsukuri dish of fresh sashimi slices came next, complete with thinly shredded daikon (Chinese radish), shiso leaf, shiso flower and wasabi. Again, the simple presentation allowed us to focus on the ingredients and enjoy the pure umami of the fresh and succulent fish. Beautifully presented sampling of sashimi. By this time we were feeling quite satiated, but our meal continued with a soup of Shogoin turnip (a very large turnip originally from Kyoto) with scallops, grilled fish and asparagus, an assortment of tempura, which was light and crisp, and finally, rice cooked in a donabe (earthen pot) and served with pickles and dark red miso soup. 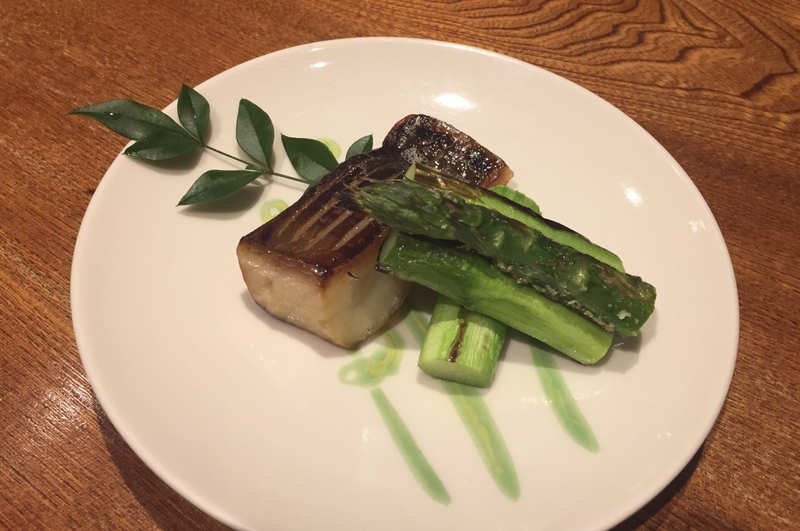 Spanish mackerel marinated in sake lees and grilled with tender and crisp asparagus. Honoka serves a variety of sakes from all over Japan as well as a few wines. A curiously named sake from Hiroshima, “Bangai,” which means “extra” or “in reserve,” caught our attention. It was an excellent accompaniment to our meal. After a pleasant meal, we walked out into the cold and damp evening feeling warm, relaxed and contented.